A new 5-Man Expert is now available at level 70 in Starfall Prophecy. Adventure into the domain of Lady Glasya and discover her dark dealings with the Oculons of Fire. A new title, Bane of the Bloodfire, is available for those who discover all the secrets that lie within! * Fixed an issue with music in Alittu. * Fixed an issue preventing players from being able to leave a raid after completing LFR. * You can now bypass the LFR queue if you queue with a full raid and it should be instant. It is not required that you have the proper raid composition when queuing for this but you still must meet the gear requirements. - Note: The roles displayed might not be relevant to what the boss requirements are. * Rapidly casting Natural Healing now correctly grants stacks of Boon of Life as expected. * Legendary Earthen Renewal now correctly consumes Opportunity procs granted by Warlock and Eldritch Armor procs granted by Harbinger. * Random Chronicles: Increased the level 66+ platinum reward for players completing random Chronicles. * Fixed an issue with Infiltrator Johlen where if Devastating Bomb timed out, Shadow Phase would not be removed. The achievement “Surviving Obliteration” has been correctly changed to a Legacy achievement and removed from the Hammerknell Conqueror achievement. * Changed the Artifacts that come out of the Chest of Shiny things in Tok’s Proving Grounds from “Bind on Pickup” to “Bind to Account on Pickup”. * Fixed an issue with the achievement “Superiority Complex” not being granted properly if Cyril was killed with Mien of Superiority. * Mind of Madness has been re-added to the Intrepid Adventures queue. * Starfall Prophecy Weapon runes can no longer heal enemies in certain circumstances. Un nouveau donjon expert niveau 70 est maintenant disponible. Aventurez-vous dans le domaine de dame Glasya et découvrez ses sombres manigances. Un nouveau titre, [Bane of the Bloodfire] ("Ennemi juré des feu-sanglant" ? ), est disponibles pour ceux qui découvrent tous les secrets de cet endroit. - Correction d'un bug qui empêchait les joueurs de quitter un raid après une recherche de raid. - Il est maintenant possible de lancer une recherche de raid avec un raid déjà complet, et l'arrivée dans le raid est instantanée. Il n'est pas demandé d'avoir la bonne composition de raid pour lancer la recherche, mais tout le monde doit avoir les statistiques nécessaires (précision, statistique principale). - Lancer Guérison Naturelle donne bien des accumulations de Bénédiction de vie. - Renouveau de la terre consomme bien les procs d'Anathema et de l'Armure Eldritch. - Le haut fait "Survivre à l'anéantissement" a été déplacé dans la catégorie Héritage, et a été retiré des prérequis pour le HF Conquérant de la Forteresse de Glasmarteau. - Correction des HFs "Non, c'est impossible", "Course vers la destruction", "Envie et Ruine, Ordre, Chaos" et "Chaos, Ordre, Envie et Ruine". - Correction des HFs suivants afin qu'ils donnent les bons titres : "Non, c'est impossible" et "Conquérant : Esprit de la folie". - Les artefacts obtenus dans le coffre de la quête hebdomadaire "Oh ça brille" sont désormais liés au compte, et non plus à l'âme. - Correction d'un bug qui empêchait le HF "Complexe de supériorité" d'être obtenu si Cyril était tué par sa mine de suprématie. - L'Esprit de la Folie a été remis dans les aventures instantanées intrépides. - Les runes d'armes de l'extension n'ont plus aucune chance de soigner les ennemis. * Resolved an issue that could block accounts from adding a payment method within the RIFT Store. * Fixed an issue with being unable to leave LFR without logging out. * If queuing with a full raid for LFR, you no longer need to meet the gear requirements or have any roles selected. The roles displayed might not be relevant to what is required for the boss. * Radiate Death now has a cooldown of 40 seconds and radiates to 2 targets (down from 6). Corrected a bug where Radiate Death would spread to less targets than intended and refresh DoTs in some cases. * Singed Spirit no longer converts all damage to Ethereal when it procs. It instead increases all damage you deal by 12% when it procs. * RIFTS: The achievement Stonesurge Champion is now correctly given when 150 rifts are closed. * Phase 1 of the Fortress Assault has it’s own timer to complete now. This should give people more time to gather for the more difficult phases of the event. * Hexathel now drops Planar Fragments in addition to its regular loot. - Correction d'un bug qui pouvait empêcher certains comptes d'ajouter un moyen de paiement dans la boutique Rift. - Correction d'un bug qui empêchait parfois de quitter la recherche de raid, à moins de se déconnecter. - Si l'on lance la recherche avec un groupe de raid complet, il n'y a plus besoin de choisir un rôle ou d'avoir le cap de précision et de la statistique principale. - Irradiation de mort a un délai de récupération général de 40 secondes et touche 2 cibles (contre 6 jusqu'à présent). Correction d'un bug qui pouvait faire se diffuser Irradiation de la mort à moins de cibles que prévu, et parfois réinitialiser les DoTs. - Singed Spirit no longer converts all damage to Ethereal when it procs. It instead increases all damage you deal by 12% when it procs. - Le haut fait "Champion de la pierre filante" est maintenant correctement donné lorsque 150 failles ont été fermées. - La première phase de l'assaut a un timer propre, ce qui devrait donner plus de temps pour rassembler du monde pour les phases suivantes. - Hexathel donne maintenant des fragments planaires en plus de son loot habituel. La mise à jour 4.1 est officiellement reportée au 29 mars, ainsi que le carnaval des Elus. La patchnote de la 4.1 fait plus de 3400 mots, sa traduction arrive morceau par morceau. Venture deep into the prison created by the Alaviax to imprison the dragons of the Red Flight so as to never again be subjugated under their rule. With Mount Pyre sundered, the way is now open. Go forth and stop Queen Carli’s plan to bring forth the Apocalypse and fulfill the prophecies of Aia! Thanks to our improved tinting system, your armor’s going to look better than ever. Not only have we updated our existing dyes so that the effects on your wardrobe are more accurate and more impressive (we have been adjusting individual armor pieces to maximize dye effects), but we’re also introducing 21 more dyes to increase options available to you, purchasable either together or individually! Additionally, we have added another 27 Deep dye shades (darker than dark!) and these are all available immediately for free! Arm yourself with the power of Eternal items! The Carnival of the Ascended is back and better than ever! Don't have Starfall Prophecy, but want to get the most out of 4.1's exciting new content? You can now purchase a copy of Starfall Prophecy using Credits or, if you're a RIFT Patron, Affinity! * Fixed an issue with auto scrolling on Quest Log so that it now ends upon user interaction. * Updated the quest sticky to properly show the Artifact tooltip and link to the Artifact tab. * Removed Conquest from the UI. * All mounts have been sent back to training and have learned how to walk. Even backwards! * Experience gain from killing NPCs while sidekicking has been significantly reduced. * The achievements pertaining to conquest have been added to legacy. In addition, the weekly and guild quests for CQ have been removed. * Fixed a display issue with icons on the Artifacts Tab. * Fixed issue with Alittu music entry stinger. * Players on different home shards can trade items and coin with each other via the trade dialog. * New Challenger’s Mark gear is available in the store now! Seals and Foci now have PVP versions that can be purchased with Challenger’s Marks! * Level 65 boost bundle is now purchasable in the store along with trade skill boosts to 450! * Individual Reward charge packs can be purchased in the store in quantities of 5, 20, and 50. * Six new Alittu-themed Building Block textures are now available in the store. Three can be found under Metal, and three under Stone. * New Music Boxes are available in the store. * A new dye bundle is available in the RIFT Store under Cosmetics -> Premium: Celestial Bundle of Dye Buckets. * Just like all Dyes these will not show up as usable until you log out and log back in after purchase. * Wardrobe – Some additional weapon skins have been added to the Storm Legion section of the Weapon Cosmetics area of the Rift store. * The Nightmare Thresher mount, Sinister Cappie mount & Umbral Baby Budgling pet are now available in the Affinity section of the RIFT store. * The damage and dps stat of ranged weapons will no longer be used in combat calculations. All such calculations will use the main hand or two handed weapon only. Ranged weapons will no longer display damage or dps on their tooltips. * Mastery: Divine Favor has been reworked. It is now a 1 minute cooldown that applies 6 stacks of Divine Presence to all nearby allies for 30 seconds. Divine Presence increases the healing you do to the target by 5% per stack. One stack is consumed each time you cast a heal on a target. * Legendary Condensed Obliteration no longer fires Bound Fate while dead. * Legendary Fae Mimicry: Now only affects 5 abilities for the damage increase. * Legendary Summon Faerie Healer: Effectiveness has been reduced to 9% of maximum HP in PVP. * Legendary Faerie Healer: Effectiveness in PVP reduced to 3% of max HP over 3 seconds (down from 9). * Legendary Radical Coalescence damage bonus increased from 25% to 35%. * Mien of Leadership: Now also increases incoming healing cast by other players by 30%. * Devout Deflection talent no longer interacts with Guard. * Eruption has been reworked and now causes 50% of overhealing to be applied to nearby targets. Only works on healing applied from the original caster. * Legendary Rune of Impending Doom deals 60% more damage per Runestrike and Rune of Castigation. * Legendary Light of Redemption healing increased by roughly 60%. It now scales more aggressively with spellpower. * Jolt base Damage increased by roughly 40%. * Legendary Icy Blow now increases air and water damage by 24% per stack for 20 seconds and stacks up to twice. * Legendary Bosun's Blessing's bonus has been reduced to 20% per HoT on the target. * Arcane Ward now also increases incoming healing cast by other players by 30%. * Archon's Bulwark now increases support abilities by 200% (up from 100%). * Healing Torrent will no longer incorrectly consume Boon of Life when it shouldn't. * Veils no longer block healing done by other veils. Veils now reduce damage dealt by 50%. This penalty is reduced by points in Chloromancer, down to 0% at 61 points spent. This damage penalty also affects non-Chloromancer damage. * Lifebound Veil healing is now counted as single target healing. * Lifegiving Veil healing increased by roughly 15%. * Wild Growth has been reworked. It is now an instant cast ability that consumes all of your charge to heal allies immediately. This healing is increased by 0.4% for every charge consumed. It also causes affected allies to recieve 40% increased Chloromancer healing from the caster. This buff lasts 0.1 second for every charge consumed by Wild Growth. * Legendary Bloom now has a 2 second cast time. Healing amount increased to compensate. * Vile Spores that come from Legendary Bloom no longer trigger Bulwark of Souls. These Vile Spores no longer benefit from the Timed spell bonus granted by Legendary Empyrean Ascension as they do not have a cast time. * Living Aegis no longer shows too many reactives for Vile Spores. * Rime healing increased by roughly 20%. * Legendary Earthen Renewal now ramps up more slowly and heals for a reduced amount. * Infuse Magic now ramps up at 12% per tick. * Ground Zero is now off the global cooldown. * Legendary Soul Bond now reduces cooldowns by 25% and increases Necromancer and Pet damage by 120%. * Ignition talent now reduces mana costs of all fire spells (rather than just non instant ones) by 8% per point, up from 4%. * Legendary Fusillade no longer grants Surging Cinders when Flame Bolt or Searing Bolt is cast. Passive bonus on * Cinder Burst is increased to 60%. * Legendary Internalize Charge now has a 20 second cooldown and no longer costs charge. Now affects cast time spells for a bonus of 100% increased damage. Tooltip clarified to show this ability does not cost charge. * Pyromancer's Blessing's internal cooldown has been reduced to 3 seconds. Thee tooltip now mentions this. * Legendary Internalize Charge is no longer overwritten by Charged Blade. * Mastery: Savage Blow: Now only stacks twice. * Non Legendary Icy Cleave can now be correctly cast without a target again. * Legendary Icy Cleave now correctly affects area of effect abilities that use chain or cone shapes to do their effects. * Legendary Seismic Smash is now only consumed by damaging abilities. * Legendary Tectonic Spike has been reworked. It no longer increases the damage of Aftershock or the maximum stacks of Tremor. It instead reduces the cooldown of Subduction to 4 seconds, and causes Subduction to also cast regular Seismic Smash when cast. * Blossoms generated by Legendary Deluge now correctly apply Conservation if known. * Resilient Growth is no longer double dipping on PVP adjustments. * Endless Shards talent has been reworked to reset the cooldown of Icy Shards when reaching 100 Fury or Cunning. * Titanic Spirit: Now also increases incoming healing cast by other players by 30%. * Legendary Vorpal Salvo no longer deals 5 times as much damage when in Cunning. Now passively causes your next Stroke of Brilliance to deal increased damage after passing through harmony. * Legendary Primal Avatar: Drake now counts as both Earth and Fire damage. Affects up to 20 attacks. Damage increased to 150% of AP. * Furious Power no longer incorrectly increases AP by 4% per rank. * Assassinate now has a 6 second cooldown. * Legendary Poison Malice starting bonus has been increased to 275%, and now has a 1 second lockout where it cannot be cast after the first cast. It no longer incorrectly adjusts your Global Cooldown. * Legendary Master of Poisons damage over time buff increased to 85%. Now applies to all damage over time abilities. * Legendary Thread of Death damage penalty removed. * Poison Malice can no longer be cancelled. * Jagged Strike now has a 6 second CD. * Dancing Steel now only affects up to 4 targets. * Hundred Blades now only affects up to 4 targets. * Legendary Hundred Blades now has a 2 second cooldown to prevent rapid reactivation. * Deadly Dance now has its effect doubled on Bladedancer attacks. * Improved Deadly Dance increased to 6% per talent point (up from 4%). * Legendary Side Steps movement speed increase no longer ends when you stop moving. Duration reduced to 12 seconds. * Side Steps is now correctly affected by the Counterbalance talent. * Barbed Shot damage increased by roughly 100%. Targets affected by your Barbed Shot take 20% increased damage from your other Marksman abilities. * Legendary Free Recoil now always forces Empowered shot to be instant. No longer applies a stacking buff, and no longer reduces the damage of Empowered Shot. Cooldown no longer decreased. Grants 3 CP. * Legendary Rapid Fire shot damage reduced by 12%. * Legenadry Deadeye shot damage reduced by 12%. * Legendary Free Recoil causes empowered shot to have a 2 second cooldown. * Legendary Flame Blitz damage bonus increased to 80%. * Legendary Dark Descent has been reworked. It no longer causes finishers to refund combo points. Instead, the affected finishers deal 30% more damage. Emptiness is still not consumed by finishers when Legendary Dusk Strike is selected. * Legendary Dusk Strike now has a 20m range. The energy penalty has been reduced to 10% per stack. The damage bonus has been increased to 30% per stack, and the buff duration increased to 20 seconds. * Ebon Blades debuff increased from 5% per stack to 12% per stack. * Legendary Emergency Response now has a 6s cooldown. * Fixed a bug where Saboteurs would lose sticky bombs after sidekicking. * Doubleshot now correctly grants you energy when triggering. No longer incorrectly grants the target energy. * Legendary Ace Shot procs no cause it to have no GCD. * Legendary Splinter Shot is now instant. * Rain of Arrows is now channeled for 1 second. Fully channeling it causes it to persist for up to 5 more seconds. * Guardian Phase: Now also increases incoming healing cast by other players by 30%. * Legendary Curative Engine Tactician healing bonus reduced to 100%. * Curative Torrent has been reworked. It is now a smart heal, and total healing has been reduced by roughly 20% to compensate for the conversion. It now has a wider zone (roughly twice as wide), and heals bounce much farther after initial application-- 25m instead of 15. It no longer heals pets during its initial beam, and the target of the initial heal can no longer be selected as the one target the heal bounces to. Now has a 13s cooldown. * *NEW* 12 Points: Impurity Siphoning Flask: Removes 1 Poison, Curse, or Disease. * *NEW* 28 Points: Wide Recalibration Matrix: Removes 1 Curse, Disease, or Poison from up to 10 party or Raid members. CD 10s. * *NEW* 36 Points: Reanimation Battery: Brings the fallen ally back to life, restoring 50% health and mana. Usable in combat. CD 5m. * Legendary Thunderous Strike no longer stacks twice. Debuff amount doubled to compensate. Duration increased to 45 seconds. * Legendary Punishing Blow is now half as effective on damage coming from Death Blossom, and now correctly affects area of effect abilities that use chain or cone shapes to do their effects. * Shield of the Hero: Now also increases incoming healing cast by other players by 30%, and now reduces non Paladin and non Void Knight damage by 25%. * Alacrity no longer reduces PVP damage. * Strike Like Iron increased to 50%. * Legendary Icy Burst now scales with the number of AP on cast. * Accord of Resilience: Now also increases incoming healing cast by other players by 30%. and now reduces non Paladin and non Void Knight damage by 25%. * Reduced healing generated by Legendary Battlesong by 50%. * Base Duration of Stand Tall increased to 2 minutes. * Enduring Chants now increases the duration of Stand tall by 36 seconds per rank (maximum 180 seconds). * Legendary Breaking Blow now consumes up to 30 additional Power maximum. * Legendary Sergeant's Order is no longer overwritten by another warrior casting it. * Legendary A Quick Death damage increased by roughly 35%. * Added further optimizations to speed up LFR queue times. * Fixed an exploit with the Maelstorm encounter. * Phase 1 now has its own timer to complete. This should give people more time to gather for the more difficult phases of the event. * Spiders no longer drop low-level loot. * Reduced the price of Hexathel’s Individual Reward cost to 2. * Thexahel no longer spawns adds. * Attempted to fix the crash that has been reported for the Killthraxus fight in Temple of Ananke. Please note, that as this issue has not been able to be reproduced on our end this fix may not have worked. * Many Starfall quests that previously did not have a minimum level now require level 65. * A new weekly quest to complete the Cracking Xarth’s Skull zone event is now available from Jinan Tawniks in Alittu. * A new weekly chronicle quest is now available. Pick up Celestial Tales from Viala Darkweather in Alittu. 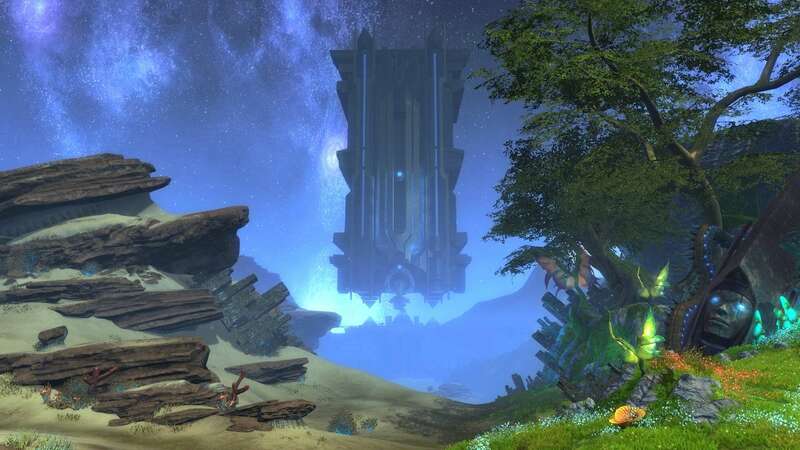 * Strike Force Commander Korel in Alittu now offers a weekly quest to complete Planar Assault Adventures. * New PvP daily and weekly quests are now available from Arthor Tourney in Alittu. * Sidekicked players are now capped to level 67 in this zone. * Sidekicked players are now capped to level 66 in this zone. Players over level 65 participating in Nightmare Rifts will now get currency and other rewards. Note that these rewards are NOT scaled up to lvl 70, but are instead the same as what a lvl 65 player would receive. * The new Alittu Mystery Box has been added to the Rift store! It contains many new items themed around the town of Alittu as well as a chance at the new Alittu Dimension Key! The Imperial Wonders Mystery Box is now retired. * The dimension rewards from Minions have been revised - almost 600 new dimension items have been added to the game that are exclusive to 4hour (Premium) missions! The 8 hour mission stashes contain the previous minion dimension rewards and 5/15 minute missions now only provide building blocks. - A lot more information can be found at The Dimension Touring Company (Thank to Feendish@Greybriar)! * Dimensioneers! The Dimension lists for Public (weekly) and Public (All Time) now report dimensions across all shards instead of just your own! Added a new dimension permission (for personal and guild) for the ability of visitors seeing the list of items used in the dimension. Dimensions – Check out the three new Dimension Scratchers: Passel of Potions, Candle and Torch Bundle, and Banner Bundle (Banner Bundle can be found in the Affinity section). Dimensions – The dimensional bartender NPC will now stay at the location where it was placed rather than snapping to the heightmap. The usable perimeter of the Strozza Estate Villa dimension has been increased by over 50%. * Capes are now double sided! * Empyrean Rage Runeshard can be correctly used on all level 65 Seals. * Synergy Crystals: Healing effects should no longer incorrectly interact with HoT effects. Tooltips in synergy crystals are now more clear about this. * Tenebrean Eel Lure will correctly fish up Tenebrean Eel sin both Deep and Shallow water. * Crafting dailies now only reward planar attunement XP and coin. Aventurez-vous dans la prison créée par les Alaviax pour enfermer les dragons du vol rouge afin de ne plus jamais subir leur joug. Maintenant que le mont Bûcher a été brisé, le chemin est ouvert. Mettez-vous en marche et arrêtez la reine Carli qui compte apporter l'apocalypse et réaliser les prophéties d'Aia ! Bien qu'il soit fait avant tout pour être accessible aux nouveaux raideurs, les Profondeurs Tartares contient tout de même grand nombre de récompenses qui sauront intéresser les raideurs plus expérimentés, avec entre autres la monnaie de raid et les améliorations actives. Qu'y a-t-il de mieux que de récupérer un nouvel équipement ? Le rendre encore mieux, plus beau, plus menaçant, plus impressionnant, plus tout avec les teintures d'armure ! Grâce à l'amélioration de notre système de teintes, votre armure aura l'air encore mieux qu'avant. Non seulement nous avons amélioré les teintures déjà existantes pour que leur effet sur votre garde-robe soit encore plus fidèle et impressionnant (nous avons fait des ajustements individuels sur les différentes pièces d'armure pour maximiser les effets des teintures), mais nous ajoutons également 21 teintes supplémentaires pour augmenter vos options, achetables d'un coup ou individuellement ! Nous avons en plus ajouté 27 teintes sombres et profondes, et elles sont disponibles immédiatement et gratuitement ! Êtes-vous prêt pour le nouveau niveau d'artisanat planaire ? Des tonnes de nouvelles recettes sont à disposition des artisans. Les meilleurs casques qui soient et des armes à distance ? Vous les avez. Des récompenses spécifiques pour chacun des métiers ? Évidemment. Un moyen d'accélérer l'apprentissage des métiers de récolte et d'obtenir encore plus de ressources d'un coup ? Bien sûr. Rejoignez R23-jk à Alittu ! Armez-vous de la puissance incroyable des objets éternels ! Les objets éternels représentent un tout nouveau niveau d'équipement dans RIFT. Chaque objet éternel est le meilleur de sa catégorie, et chacun possède des capacités qui peuvent changer le jeu, comme une réduction de dégâts pour tout le raid, une amélioration de la récupération de ressources, et des améliorations spécifiques à la classe ! Il y a deux manières d'obtenir un objet éternel : soit les trouver en monde ouvert, soit grâce à la suite de quête d'arme éternelle. Pour en trouver en monde ouvert, c'est exactement ce à quoi vous vous attendez : tuez des trucs et vous pouvez peut-être découvrir une pièce d'équipement incroyable. Cependant, lorsque vous récupérez un objet éternel, il n'est pas aussi puissant qu'il pourrait être. Si vous voulez débloquer le véritable pouvoir de votre équipement, vous allez d'abord devoir faire ses améliorations actives. Mais la récompense d'obtenir l'un des objets les plus puissants de tout Telara vaut le challenge. La série de quêtes qui vous permet d'obtenir une arme éternelle est similaire. Le carnaval des Élus est de retour ! En plus de vos jeux et événements préférés, des tonnes de nouveaux objets sont disponibles. Il y a la nouvelle monture, les habits d'Usukhel, les ailes ténébréennes, le ballon Tasuil, et tellement d'autres ! VOus n'avez pas l'extensio, mais vous voulez accéder au contenu de la 4.1 ? Vous pouvez maintenant l'obtenir avec des crédits ou de l'affinité ! - Les boucles d'oreille sont maintenant disponibles pour tout le monde. - Correction du scrolling automatique du journal de quête, qui s'arrête maintenant tout seul dès la moindre interaction. - Toutes les montures on été renvoyées à l'entrainement et peuvent maintenant marcher. Même en arrière ! - L'expérience obtenue en tuant des ennemis en étant en tandem a été réduite. - Les hauts faits liés à la conquête ont été mis dans la catégorie héritage. De plus, les quêtes hebdomadaires et les quêtes de guilde en lien avec la conquête ont été retirées. - Correction d'un bug avec les icônes de certains artefacts dans le menu d'artefacts. - Correction d'un bug concernant le déclenchement de la musique d'Alittu. - Les joueurs de serveurs différents peuvent maintenant s'échanger des objets et de l'argent (ou or, ou platine) via la fenêtre de transaction. - Les nouvelles marques de raid sont apparues ! Vous pouvez vous en servir pour acheter des sceaux. - Un pack niveau 65 est maintenant achetable, avec un boost de métier jusqu'à 450 ! - Il est possible d'acheter des packs de charges de récompenses individuelles par 5, 20 et 50. - 6 nouveaux types de blocs de construction sur le thème d'Alittu ont été ajoutés à la boutique. 3 d'entre eux sont dans la partie métal, et 3 autres dans la partie pierre. - De nouvelles boites à musique sont disponibles dans la boutique. - Comme tous les packs de teintures, ils ne seront pas utilisables tant que vous n'aurez pas fait une déco-reco. - Plusieurs apparences d'arme de SL ont été ajoutées à la partie Armes de la section Cosmétique de la boutique. - De nouvelles montures et un nouveau familier ont été ajoutés à la partie Affinité de la boutique. - Les dégâts des armes à distance ne seront plus utilisés dans le calcul de dégâts. Tous ces calculs se baseront sur la main principale ou l'arme à deux mains uniquement. Les armes à distance n'auront plus de dégâts indiqués dans leur description. - Pas prévu de réactiver la conquête non plus pour le moment. - La tenue 'forgee par la comète' devrait enfin pouvoir être teinte par les elfes femmes... Et celui là je m'attends depuis des SIECLES !! * Interactive doors and windows have been added to Dimensions! Check them out in the Store: Dimensions -> Interactive. On va pouvoir ouvrir et fermer nos portes et nos fenêtres!! Attention ce sont des items interactifs donc non redimensionnables. On peut inverser le sens d'ouverture. Pour ceux qui veulent tester, j'ai mis deux portes de ce type dans le domaine Imari à l'étage de la villa. C'est un grand pas pour les dims! * Queens Foci is now up in the Looking For Raid menu 100% of the time. en français : le Focus de la reine est ouvert tout le temps via la recherche de raid. * Eternal Weapons - Raid Buffs now have a cooldown of 5 minutes. * Fixed some missing sounds on primal lord abilities. * Damage of Legendary Molten Wave reduced substantially. * Legendary Deadeye Shot critical bonus damage reduced to 3.5x. Changed where this damage bonus is calculated to reduce its impact in certain cases. * Legendary Calculated shot now also increases the damage of Channels by 20% while active. * Zone Event: Feeding Frenzy: Fixed an issue where players would not get the achievement for completing the zone event. * Raid Rift: Decay of Ahnket: Fixed Xerrax’s ability “Soul Rip” so that it cannot be reflected back on him. * Raid Rifts: Egg of Destruction & Decay of Ahnket: Added new sounds. * That amazing Statue in Tavril Plaza is now visible from across the bridge. * Quest: The Queen of Suns: Asha, Orphiel, and The Queen of Suns now gather just outside of Kilcual only when defending Kilcual from the Storm Legion rather than forever. * Quest: Power to the Legion: Fixed an issue that prevented a number of players from being able to see the power cells. * Vostigar Peaks Jetpack Quests now have a minimum level of 70. * Quest: Maze of Steel: Added new sounds. * Quest: Source Decay: Bronze Goo in the Source Collectors should regain its form over time. That is if it doesn’t deconstruct all of the comet first. Best not to think on it too much. * Quest: Return to Sender: Fixed an issue with Return to Sender that prevented towers from respawning after having the tracking device placed on them. * Isabella at the Magician’s Tower no longer plays a subtle prank with the EULA on her porticulum master’s fine print. * The citizens of Uttila have learned new, cognitive patterns and created their own postal service: there is now a mailbox near the Uttilan faction vendor. Send letters to all your friends and let them know! * The Storm Legion has reinforced the defenses of the Maze of Steel, Fort Onocro, and Fort Strutio. Enter with caution. * Updated the population of the Forgotten Forest to account for instant adventure mobs! * Armes éternelles - Les buffs de raids sont maintenant applicable toutes les 5 minutes. * Il faut être niveau 70 pour faire les quêtes du jetpack. * Quête: Labyrinthe d'Acier: Ajout de nouveau sons. * Quête: Pourriture de source: Bronze Goo dans les Collecteurs se régénère maintenant. * Quête: Retour à l'envoyeur: Correxion d'un bug qui empêchait les tours de réapparaitre après avoir placé un marqueur dessus. * Paragons will no longer incorrectly benefit from the talent "Unleashed" without putting points into it. * The achievement “The Prosecution Ripostes” now implicitly indicates on how to actually trigger this achievement. * Malannon: Added additional sounds to this fight. * Rift assaults in the planes of Fire and Life have returned to Celestial Adventures! * Instant Adventure: Tools of the Trade: Now functions better for those that have also done the discovery quest of the same name. * Fixed an issue where players could not turn in quests in Scatherran Forest if they had also completed the quest, “The Shadow Market”. * Asha and Orphiel no longer spawn as companions in The Front after completing the main story arc. * Fixed an issue that caused the colossi in Vostigar Peaks to not show on the map for a week-- rather than a day-- after brutally murdering them for their shiny loot. * Zone Event: The Tempest Rises: Fixed a bug where a cannon at the forgotten forest would spawn out of line of sight. Thanks go out to Aileen for this report! * Quest: We Can Build It: Fixed an issue where quest items would not go into a player’s quest inventory. * Quests: The following daily quests have been modified to better share progress for players in a party: “Leaving the Door Open”, “Mind the Mines”, “Return to Sender”. “Ashes to Ashes”, “Death From Above”, and “Ritual, Begone!”. * Fixed the amount of Source Fuel needed for the Jetpack mount’s temp abilities to match the tooltip. * Equipped planar fragments now prompt you if you try to recycle them. * Les parangons ne profiterons plus du talent "Unleashed" sans avoir mis de points dedans. * Malannon: Ajout de sons au combat. * L'Aventure 'Tools of the Trade' fonctionne mieux pour veux qui ont déjà fait la quête du même nom. * Correction d'un bug empêchant les joueurs de rendre des quêtes si il avaient terminés la quête, “Le marché des ombres”. * Asha et Orphiel ne vous suivront plus si vous avez terminé l'histoire principale. * Correction d'un bug qui faisait que les rares ne s'affichaient plus sur la map pendant 1 semaine (au lieu d'1jour) lorsque vous les avez tué une fois. * Event: Correction d'un bug ou un des canons des forts était hors de ligne de vue empêchant la capture du fort. * Quête: 'On peut le faire': Correction d'un bug ou les objets de quêtes n'apparaissaient pas de l'inventaire de certains joueurs. * 6 quêtes journalières ont étés modifiées pour compter pour tout le groupe. * Les fragments planaires équipées vous demandent confirmation lorsque vous voulez les désenchanter. * Fixed an issue where Jetpack become stuck at incorrect area for Bahmi Female characters. * A new Power Pack is available in the RIFT Store! Pick it up today and unlock the Nightmare Razorback mount! * Fixed an edge case where the VFX for Drahknar’s “Fiery Pool” ability could persist on a player. * Quest: Lost Messenger: A shade of Ambriel will now be at the turn in location if you have started any of the Ashenfell questline. * Quest: Shadow Market: Turning in quests in Scatherran Forest while on this quest will no longer cause a continuity error that erases Tasuil from existence. * Fixed an issue where invasions would run into Tenebrean Schism and Ashenfell. * Invasions that cleave a bloody path of destruction through Bailghol will no longer get hung up on imaginary opponents. * Quest: Circle of the Thirteen: Fixed an issue with pet healing skills affecting the Skub companion, and not the player’s pet. * Marks of Prophecy can no longer be runebroken. * Opie Whistle now has an 8-second activation time and can only be used within Vostigar Peaks. * Quête: Messager perdu: L'Ombre d'Ambriel sera présente au point ou rendre la quête si vous avez commencé les quêtes histoires de la zone. * Quête: Marché de l'Ombre: Rendre des quêtes dans la forêt ne fera plus disparaître Tasuil. * Les invasions attaquant Bailghol ne devraient plus s'acharner sur des ennemis imaginaires. * Quête: Le cercle des 13: Correction d'un bug qui faisait que les effet de soin du compagnon affectait le pet et non le joueur. Maintenance hebdomadaire cette semaine mais pas de correctifs. * /suicide will now successfully deal enough damage to kill the player. * Fixed a bug preventing players from seeing another player's icon in the raid frame if they went out of line of sight. * Fixed an issue where you would sometimes fall through the world when changing video settings. * Adventure groups in the Featured Adventure and Intrepid Adventure queues will experience more variety of instant adventures. * Vostigar Peaks has been added to the Instant Adventures zone rotation! Hit [.] and select Celestial Adventures to get in on the action. * Fixed an issue with Zone Event notifications not properly displaying. Now, when the event is starting on a shard different from your home shard, the red alert text and flashing icon properly show in the UI and on the map. * Raid Rift: Iron Legion: Fixed a bug where the slow aura could get stuck on you. * Queens Foci: The weekly quest giver and the Mages of Alittu Quartermaster have now taken up camp in Camp Quagmire. Quest: Through Hell and Back Again: Clarified in the quest that it must be completed in LFR difficulty. * Quest: The Battle of Saint Taranis and the Echo of the Battle of Saint Taranis: Fixed an issue where sometimes Garn would not spawn in Saint Taranis. * Fixed floating grass around the Moonshade Highlands porticulum. * Quest: Gathering Power: Removed the ability to interact with Sourcestone Ore in Regents Fall. (This was mistakenly not removed in the Terminus revamp of yore!). * Soul Bond should no longer incorrectly fall off your pet if it moves more than 30m from you. * Wildfire Procs will no longer show too many reactive icons. * Bind Life/Air Lash now correctly describe what focus state they require to be cast. * Legendary Scything Strike has been adjusted to provide a reduced bonus, and its location in the math has changed so that it will be less potent when stacked with other effects. * Side Steps will now correctly come off cooldown when it says that it does. * Time Bomb and Charges should now work correctly after dying. * The Vigil’s plan to stop Shadavarian by dropping a giant statue on his head did not go according to prophecy. Therefore they have removed their artwork from the Ceremony of Attunement chronicle. * The Eye of Omnox trinket will no longer incorrectly be triggered by abilities other than damaging and healing ones. It will also no longer be overwritten when multiple players proc it at once. * Tok Box can now only be used in either Allitu or Tok’s Proving Ground. * Eternal: Hellion's Stompers should now correctly activate automatically when equipped and not persist forever. * Correction d'un bug vous faisant tomber à travers le sol lorsque l'on changait les paramètres videos. * Les aventures "Intrépides" et "Featured" seront plus variées. * Correction des notifications annonçant des évents de zones: Elle apparaîtrons bien sur l'UI et sur la carte lorsqu'un évent apparaît sur un serveur différent du votre. * Raid Rift: Légion d'Acier: Correction d'un bug qui faisait que l'aura de ralentissement restait sur les joueurs. * Correction d'un soucis d'affichage avec le monstre de mort. * Notoriety purchase limits are now character based instead of region based. * Fixed the overly bright sky in the Volcanic Playground dimension. * Fixed an issue with some lower level zone events giving lower level currency to lvl 65+ players that were properly mentored for the event. * Characters in Intrepid Instant Adventures are now able respawn within the IA without problems. * Assaulting forts during zone events should no longer occasionally reward low level essences. Instant Adventures in Vostigar Peaks will now count towards the weekly quest "Planar Assault" as they should. * Instant Adventures in Vostigar Peaks will now properly contribute to the objectives for the Celestial Adventures weekly quest. * Accepting the map invite for LFR if queued while as a premade inside of a raid will now properly teleport you to the correct map. * Queuing for LFR again after completing LFR will now properly place your raid in a new instance of that map and teleport you to the entrance. However, from this point forward, you will be considered a premade, not an LFR raid. * Eternal Weapons now correctly allow spells to benefit from the bonus damage if they would push your mana below the threshold. Mana cost increase reduced from 100% to 10%. * Arcane Aegis will now correctly grant the appropriate amount of armor to all affected players. Tooltip will now correctly describe the amount of armor granted. * Death's Edict now correctly triggers Dominant Personality and Swift Control. * Weathered will now correctly increase the health of pets. * Legendary Condemn has been reworked. It no longer grants stacks of Deathly Calling when it expires. It instead deals increased damage. It still increases the stack cap of Deathly Calling to 10. * Legendary Neddra's Grasp should now correctly apply Lingering Torment in all cases. * After several…unfortunate side effects on test subjects during experiments with Materialize Soul, it has lost the ability to be cast while dead. * Removed an extra damage number from Bind Life and Air Lash. This is only a tooltip change. Functionality remains unchanged. * Points in Roaring Rapids no longer incorrectly also grant the benefit of Nature's Keeper. * Cleanse now correctly describes how it affects the Focus bar when cast. * Legendary Scything Strike can no longer be triggered on targets more than 35m away. * Legendary Molten Wave no longer incorrectly has too large a range. * Ethereal Beam has had its damage in PVP reduced by roughly 50%. * Removed Charge counter from targets when playing as Saboteur. * Charges will now correctly restrict your explosives again. * Torrents can now trigger weapon enhancements such as Silver Tip Munitions. * Touch of Life now notes in the tooltip that it has reduced effectiveness in PVP. This is only a tooltip change. Functionality remains unchanged. * Weekly login gifts no longer have a chance to drop lock box keys. * Level 60-65 Mercenary Equipment Caches will now give loot to players above level 65. Note that this will still be level 65 loot. * The cosmetic cape “Sagum of Rain” has been added to the Uttila Resistance vendor at Glorified notoriety level. * Added two new dimension items to the Uttila Resistance vendor. * Reduced the recipe material cost for Blackthorn Burgers slightly. * Fixed some missing wardrobe associations with a few in-game items. * Opie got over her fear of Arkosian Hinterlands and Arjuros and these locations should no longer be a problem to teleport to. * Correction du ciel de la dimension "Forteresse de l'apocalypse"
* Quête: Suivre l'argent: Il est maintenant spécifié que la quête doit être faite dans des donjons standards. * Les IA de Vostigar comptent bien dans la quête hebdomadaire "Assaut planaire" et celles des "Aventures celestes"
* Quêtes journalières: Correction d'un bug qui réinitialisait l'avancement des quêtes lors du reset journalier. * Accepter une proposition de téléportation via la recherche de raid quand on fait partie d'un groupe déjà formé téléportera bien dans la bonne instance du raid. * Relancer la recherche de raid après avoir complété un raid avec la recherche de raid vous placera bien à l'entrée d'une nouvelle instance. Par contre vous serez considérés comme un groupe pré-constitué et non comme une "Recherche de raid"
* Les caisses de mercenaire niveau 60-65 donneront bien du loot aux joueurs 65+. Mais ca sera de l'équipement 65. * Opie accepte maintenant de se téléporter à Arjuros et l'arrière pays Arkosien. * Zone Events: Several changes have been made in an attempt to address the issue of the loot not being awarded consistently. - Fixed Ahnket’s “Ray of Obliteration” so that it will no longer be able to be cast immediately after becoming unshielded. - Ahnket’s “Ray of Obliteration” now ticks 3 times, previously 4 times. - Ahnket’s “Ray of Obliteration” has had its cooldown increased to 35 seconds, previously 29 seconds. - Crucia’s “Lightning Breath” has an increased warning delay of 4 seconds, previously 2 seconds. - The “Shield” and “Heal” temporary abilities have been changed. - “Shield” is no longer an absorption shield. It now mitigates 75% damage from Ray of Obliteration. Note: This ability ONLY affects Ray of Obliteration, and nothing else. - “Shield” has had its duration increased to 8 seconds, previously 4 seconds. - “Heal” has had the initial heal increased to 30%, previously 20%. - “Heal” has had its heal over time effect increased to 8% health per tick, previously 5% health per tick. - “Heal” has had its cooldown decreased to 15 seconds, previously 25 seconds. * Fixed an issue with daily meta quests auto-completing on log out or crashing. * Trinket: Cursed Claw: Energy Manipulation no longer consumes Claw Curse. Tout ça... ça le passe en mode facile du coup? * Carnage icons now show in custom nameplates. * Characters can now join the appropriate starter guild successfully no matter what shard they are on. * Fixed the display of Guild Quests in the Guild manager window. * The Patron Treasure Map buff now properly boosts Captured Intel. * When characters leave an instant adventure, they will return to the point in the world where they joined the adventure. * Instant adventure groups that have at least one member not flagged for PvP will not be sent to instant adventures on PvP shards. * Fixed a few problematic locations where rifts could spawn in Gedlonia. * Quest: Hinder Crucia: The Maze of Steel: Fixed an issue where the daily Hinder Crucia Maze of Steel quests did not increment the meta daily Hinder Maze of Steel quest. * Adjusted the dyed appearance of the Ceremonial Hero armor and helmet. * Correction de pop de failles non prévues à Geldonia. *Correction des teintures sur le torse et casque de l'apparences "habits de Cérémonie du héros"
* Fashion Week is back! Check out the winner of the recent wardrobe contest - Primarch Narsiro's Regalia Bundle! * Non-premium wardrobe armor bundles have been permanently reduced in price! * The costs for increasing item caps to tier 5 has been decreased for all dimensions. * The item caps for each tier for all personal dimensions has been increased. * Eternal Items with Passive effects now should work as expected. - NOTE: After leaving a warfront, these abilities currently do not turn back on automatically. Players will have to unequip and reequip the item to restart the effect. We are currently investigating fixes to this. * La tenue gagnante du dernier concours de tenue est disponible - Primarch Narsiro's Regalia Bundle! * Les coffres de tenue non premium ont vu leurs prix baisser de manière définitive. - NOTE: Un bug reste: Lorsque l'on quitte un champ de bataille, l'effet passif ne se rapplique pas automatiquement, il faut déséquiper et ré-équiper l'objet pour le déclencher. Au début j'étais un peu blasée ... Des pnj moui, des statues jolies ! Des cailloux pfff ... Et puis ... Les fleurs et les arbres !!! "SHUT UP AND TAKE MY MONEY !" * Available for a limited time: Unlock the Forgemaster's Inferno costume helm with your first purchase of a $19.99, €19.99 or £15.49 credit pack! Offer available until October 25th. * Abyssal Saga Quest: Blood in the Water: Now has a Primalist option. * Porting to or logging in near Calweddi will no longer result in a client crash. * All adventures in the Celestial queue now grant Planar Defense Force notoriety upon conclusion. * The Corrupting Inferno that could not be attacked in Gyel fortress has been moved to a nearby location so it can be killed. * Jusqu'au 25 Octobre, le skin du casque "Forgemaster's Inferno " est offert pour tout premier achat d'un pack de 19.99 euros de crédits. * Toutes les aventures célestes donneront de la réputation des forces de défense planaire à la complétion.